Welcome to Fraum Chiropractic Life Center! This drug-free, nonsurgical healing method has helped countless individuals in conquering pain, healing from injuries and enjoying a higher overall level of well-being; it can most likely do the same for you. But perhaps you’re still a little confused or even concerned about what to expect during your first visit to Fraum Chiropractic Life Center in Hilton Head Island. 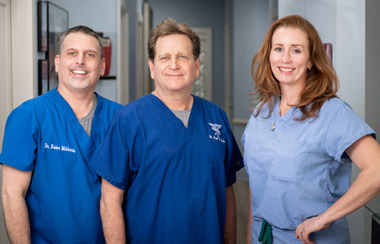 We’re more than happy to walk you through the basic steps and help you understand what we hope to accomplish during your initial appointment at our chiropractic care center. We also have information about payment options that can help make chiropractic care even more affordable. We’ll ask about your medical and family history, current medications and the symptoms you’re currently experiencing. The next part of your visit will include a detailed health evaluation. The part of your body that is in distress may also undergo specific tests to check muscle strength, range of motion, nerve response and other functions. A combination of palpation and X-ray will also help us in locating areas of subluxation (joint misalignment) in your spine and nerve impingement. These examinations may be performed while you’re sitting up, lying facedown or reclining on one side on a treatment table. We can then recommend a customized program of chiropractic treatment and other natural therapies to enhance the effectiveness of your chiropractic sessions. If you’re in acute pain, we can deliver your first gentle chiropractic adjustment immediately. Now that you have an idea of what you can expect on your first visit, raise the bar for your health and wellness expectations. Contact us today to schedule your first chiropractic visit. We’re confident that you’ll make us your trusted healing practitioners for life!